Is it worse to come in second to last or second to first? I’ve been playing a lot of Trials Evolution lately and this question kept occurring to me as the results of my run at each track came up. 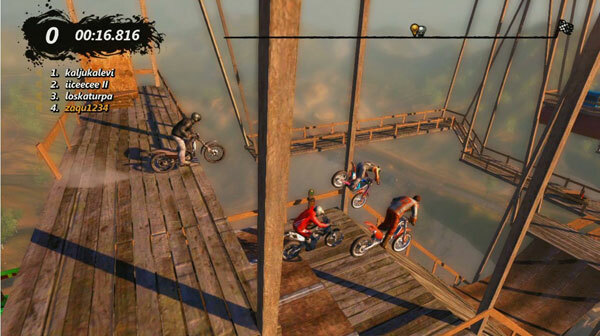 Trials Evolution is a side scrolling, motorcycle driving game with a heavy emphasis on physics. Your controller triggers map to the bike’s throttle and brakes, but the real trick is using your left thumb stick to control how far your little driver dude leans forward or back. This, along with your momentum and how much gas you give it, will determine if you crash and eat it. Or rather, when you crash and eat it. Because not only are you going to eat it, you’re going to go back for seconds, thirds, and a hundred and fifths. It’s that kind of game, and it’s awesome. Oh god, they’re right behind me! Among the several things that the game’s developer, RedLynx, really nails with Trials Evolution is the social competition aspect. The game is replete with leaderboards and indications of how well you’re competing against others, and RedLynx seems to be aware that it’s more meaningful to compete against our friends and other people we know instead of strangers. This is one of the tenants of what’s known in psychology as “Social Comparison Theory.” First proposed by social psychologist Leon Festinger back in 1954,1 the theory has since been elaborated upon and expanded, but the gist is that we like information about our performance, and if we can’t get that information directly we’ll compare ourselves against other people to get the next best thing. But not just any other people. One thing that researchers have determined pretty clearly is that we prefer to compare ourselves against smaller groups of people –the so called “frog pond” effect named, I think, after Dr. Antonio Frog and his work with motocross racers at of the University of Pond, Connecticut. Even better, we like to compare ourselves to smaller groups of people we know, because those comparisons are more meaningful and give us more information. 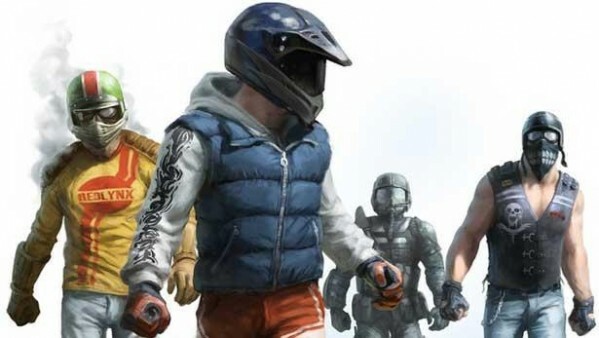 This is why Trials Evolution is smart to show leaderboards consisting of people on our Xbox Live friends list by default. But you don’t have to wait until the finish line to compare your performance. Each time you run a track the game shows you where your friends were on their best run by moving a little dot with their gamer tag attached along the track with you. It’s amazingly effective –much more so than showing you a dot belonging to “xxXTrialzd00d42Xxx,” the world record holder for that track. Because he’d simply zip off past the right edge of your screen and not offer any kind of meaningful comparison. So good job, Trials Evolution people. The thing is, though, that we can drill down even further because two neighboring leaderboard rankings are not always equidistant from each other, psychologically speaking. For example, I kept noticing that I was much more likely to try and shave off a few seconds and creep up a notch on the leaderboards if I was in either last place or second place. A 2006 Personality and Social Psychology Bulletin article by Stephen Garcia, Avishalom Tor, and Richard Gonzalez2 explains why. They posited that our upward comparisons are predicated on the existence of a meaningful standard –the top. But other standards –such as the bottom– could exist as well. Furthermore, the closer we get to those standards, the more the social comparisons to others near them matter, and we are more inclined towards competition and less inclined towards cooperation with those in our way. Imagine that you are playing in a 1-day poker tournament with 500 players. For the final round, you are deciding whether or not to team up with one of your rivals. Strategy A: If you play solo, your tournament earnings will increase by 5% and your rival’s by 5% . OR, Strategy B: If you play as a team, your tournament earnings will increase by 10% and your rival’s by 25%. Subjects were then asked what strategy they would pursue if they were ranked #3 in the tournament and their rival were ranked #4. What about if they were #6 and the rival was #7? #24 vs. #25? The consistent finding across these studies was that people were more likely to compete when they were closer to a meaningful standard like being the top ranked poker player or being the CEO of a company ranked high on the Fortune 500 list. This despite the fact that cooperating would earn them more money in absolute terms. Interestingly, players exhibited the same irrational behavior in order to avoid being ranked too close to the bottom of the charts. Just like I would throw myself against the brick wall of the “Physics Factory” track in Trials when in second place on my local leaderboards –much more so than if I were in fifth or eighth. Game developers could hack this phenomenon into their design if their goal is to inspire competition or make the choice to cooperate more meaningful. More finely diced leaderboards like what Trials offers is a good start, but to take things further they could plant additional goal posts along our paths so that it’s not just first or last place that we focus on. Crossing thresholds to be in the top quartile of overall scores would be one example, but I suspect that even just adding weird metrics like “Amount of damage done with the rocket launcher” or “Number of bunnies irradiated” would have some effect. And, above all, calling out to the player the fact that you’re SO CLOSE to hitting one of those milestones relative to a friend should cause them to grit their teeth and buckle down. Games should be facilitating these social comparisons when they’re most meaningful, like when players are on the cusp of stardom or at the brink of ignominy. And for good measure, carve out some more things for us to be proud or ashamed of. Now, if you’ll excuse me, I’ve got to beat my friend Tungholio’s score on Gigatrack. 1. Festinger, L. (1954). A Theory of Social Comparison. Human Relations, 7 117-140. 2. Garcia S., Tor, A., & Gonzalez R. (2006). Ranks and Rivals: A Theory of Competition. Personality and Social Psychology Bulletin, 32 970-982.